Mysticism is a topic many people associate with eastern spiritual practices such as Zen Buddhism or yoga. But Christianity has its own mystical tradition with a long and rich history that reaches back to the New Testament �C and remains surprisingly relevant today. The Big Book of Christian Mysticism explores this rich tradition and shows how it can be a powerful tool for transformation and the experience of the Divine. One of the greatest Christian theologians of the twentieth century, Karl Rahner, once said "The Christian of the future will be a mystic or will not exist at all." Such a statement challenges Christians of our day (we live in Rahner's future!) to consider the role of mysticism in the Christian life. The Big Book of Christian Mysticism does just that. As an introduction to Christian mysticism and an exploration of why mysticism remains relevant in our time, the first part of the book explores the question of what mysticism is, examining its Biblical roots, its paradoxical nature, and how Christian mysticism has evolved over time. The second part of the book considers how mysticism can make a difference in the lives of ordinary Christians today, considering how spiritual practices such as lectio divina, meditation, and contemplative prayer can foster a deeper openness to Divine presence. 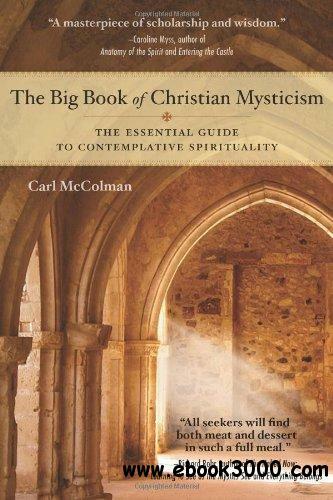 An extensive list of the greatest Christian mystics, a recommended reading list, and a bibliography round out this in-depth introduction.Selected as one of the best spiritual books of 2010 by spiritualityandpractice.com, The Big Book of Christian Mysticism has been highly praised by a variety of spiritual teachers and authors.